We are seeing more consolidation, as projects undertaken by smaller and less-experienced companies are taken over by larger groups. Large groups with significant financial muscle are bullish on the market, given that Vietnam continues to have strong economic fundamentals, including a young millennial population, high income growth, strong FDI, and a rapidly-growing economy. Therefore, we see many companies who are keen to expand through mergers and acquisitions. In the meantime, the market has grown to a level where experience is recognized and rewarded as consumers and buyers are becoming more sophisticated. Buyer demand has started to dictate the direction of the market and what kind of product is being created. This forces smaller local groups, who are inexperienced but have access to land, to either sell their projects or team up with stronger players. Foreign investors will enter those market niches where local players usually lack the required expertise. These include big box retail as well as high-end and luxury products in all sectors (residential, office, retail, hospitality). We also see a lot of interest from foreign investors in the logistics industry, with many multi-national private equity groups either already investing in or looking to invest in a portfolio of industrial parks on the outskirts of major cities. In terms of hospitality, we also see strong foreign interest in the budget three and four-star segment, thanks to the lucrative market landscape led by a growing middle class that is becoming more and more mobile. At Indochina Capital, we are trying to capitalize on these market trends and through our development arm Indochina Kajima we seek to champion this affordable luxury segment with our upcoming hotel brand Wink Hotels. Each hotel will offer a new style of entertainment, innovative food and beverage concepts, minimalist-style guestrooms, state-of-the-art technology, and a well-equipped co-working space managed by our partner, Toong; adding up to a tantalizing hospitality experience that will be the first of its kind in Vietnam. To separate yourself from the competition and ensure that your development has a lasting impression on the market, you cannot innovate by looking at other people; it must come from within, from the company’s leadership. If that is lacking in your company, you should bring in people from the outside who can help foster that spirit, whether it be world-class consultants or designers, or even travel the globe and visit landmark developments to gain inspiration. Both these divisions were created under the foundation of Indochina Capital’s experience developing some of Vietnam’s premier properties, and we apply the same principles in our day-to-day work with our clients, whether it be introducing international practices to local groups or familiarizing foreign developers with the domestic market. 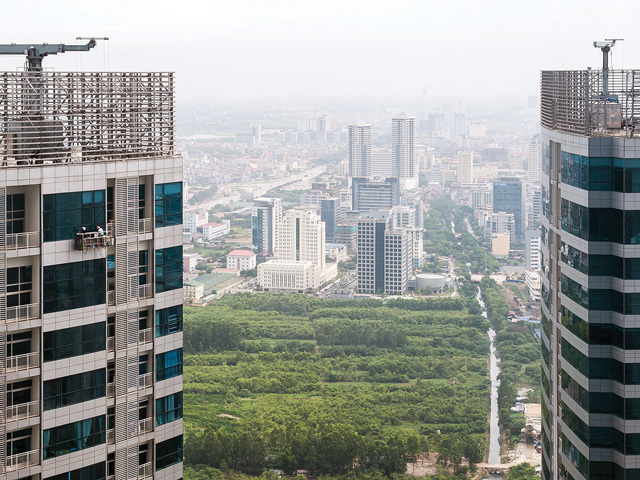 All of the divisions that make up the Indochina Capital parent company play a key role in our success and solidifies us as leaders in all facets of Vietnam’s real estate sector.